Black Adam? Shazam?! 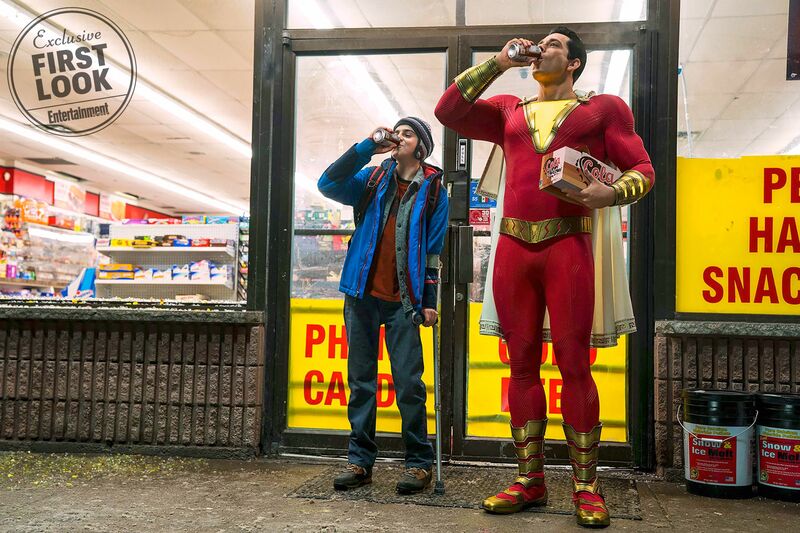 Oh God, please be Shazam!!!! Lobo? Jonah Hex 2? Transgender Wonder Woman? I think it'd be a good opportunity to really try something different for himself. Show off range as an actor as opposed to sort of being an extension of himself like he usually is. Basically a toned down version of the Rock we saw in his hey day as a pro wrestler. I think it'd be awesome if he did a Lobo movie. Like you said, his Rock personality would be a great fit for the role. Will be a weird contrast against Black Adam set to be played by Dwayne Johnson. Djimon Hounsou will play the wizard who gives Billy Batson his powers. I don't know why I can't stop thinking of Shaq's Kazaam when I see this thread? Looks like fun, the suit still looks really fake but it kind of adds to the charm lol. As far as Black Adam I'm kind of against The Rock playing him now, I'd rather that part went to someone who looked more like they were from the Middle East which is where that character is from. The Rock is kind of over exposed right now anyway and I think people are sort of getting tired of seeing him in a new movie every two or three months. I heard the idea about this movie awhile back. It looks entertaining I just don’t like the suit and stupid looking cape. I miss Chuck lol...this looks like fun,glad to see him back in something. I remember watching repeats of that show when I was a kid, they usually played them during the summer. As far as the new movie I really like Levi playing the part but I wish the younger Billy would be as goofy and not act like the cool kid, their personalities don't match.